I love reading blogs, I read lots of different blogs and I really enjoy reading them, some of them are blogs written by some of my best friends and some by people I've never met and I love reading them all. There are a lot of blogs that I have been reading for a long time, some as long as 6 years and I have many long time favourites but each year I love finding new blogs to read. During 2016 I found quite a few new blogs to read and some of those blogs have become firm favourites of mine and today I want to share those blogs with you, the blogs are in alphabetical order. I discovered Antonia's blog through my friend Gemma, who also writes one of my favourite blogs. Myself and Gemma always like the same thing and it seems this expands to bloggers/blogs too, Gemma told me how lovely Antonia is and I checked out her blog and loved it immediately. Antonia has a lovely mix of posts on her blog, she has the most amazing recipe posts that always make me feel hungry, and some fantastic beauty posts and product reviews too, plus some great lifestyle posts. I really enjoy reading her blog and through Gemma have gotten to know her a little and she is a really nice person too, there's nothing not to like, and her blog is exactly the same. 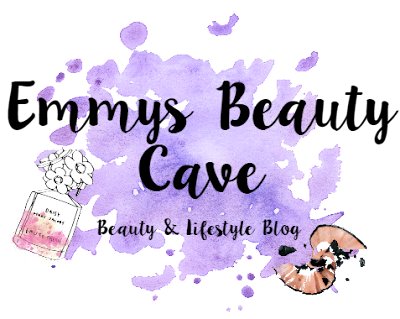 Beautylymin is written by the lovely Siobhan, I adore Siobhan's blog, she is very honest with her reviews, and her empties posts are amongst my favourites along with her haul posts especially when she had visited the USA! Siobhan's posts are always thorough and informative and she always gives plenty of information on the products making her posts both interesting and helpful. Myself and Siobhan have very similar skin types and she is the skincare goddess which I have found super helpful. It has also become apparent we like the same things which has it's downside because my purse cries every time I read a post and my wishlist grows! I only discovered Emmy's blog at the very end of 2016 but I am loving it and it has fast become a favourite of mine, her posts are brilliant and informative and I am finding myself wanting lots of things she has mentioned already. I have recently chatted with Emmy via Instagram and she seems so lovely, she also designs the most wonderful blog headers, so if you're after a new header and a great blog, Emmy's your gal. The lovely Victoria writes the blog Florence And Mary, Victoria's blog is a beauty and lifestyle blog and I really enjoy her posts. She loves to travel and has some brilliant and really helpful posts on beauty packing and what she takes/took on her holidays which I have found really helpful amongst other travel posts. Victoria also has some amazing beauty posts, we like a lot of similar things so I always love her haul posts and her favourites, she is always thorough and gives a lot of information on the products which I really enjoy, she's great. Hearting is written by the lovely Ionna, I love Ionna's blog and her photographs are incredible! Not only do we share a love of nail polish, she also has the most adorable pets including some extremely fluffy guinea pigs that I would love to snuggle! Ionna has a mix of beauty and lifestyle posts with some yummy recipes too, I have bought many a nail polish after reading one of her posts and written down recipes for Simon to make, she isn't helping my purse or my waistline but I love her blog and her photographs are incredible. I love reading Leanne's blog, she is lovely and her posts are informative, in depth and thorough and she always has brilliant swatches too, she enabled me with so many makeup products in the last half of 2016 and I have a wishlist as long as my arm just of things Leanne has recommended. Leanne got married in 2016 and looked absolutely stunning and as well as makeup product envy I also now have bride envy, she looked absolutely incredible. Dagmara like me, loves skincare and she has some fabulous reviews and very enabling skincare posts on her blog, she is also brilliant at creating make up looks and has some beautiful makeup look posts on her blog too, her favourites and her spend or splurge posts are some of my favourite posts to read but I love them all, she always swatches everything clearly and her posts are thorough and in depth which I love, she's also a really lovely person too. Julie writes That Age Style and like me is, shall we say over 30, she certainly doesn't look it though and I am envious of her youthful looks, she is stunning and also a really lovely person. It's nice to find someone a similar age who loves the same things I do. I love Julie's honesty and I have both bought products and stayed away from them on her recommendation as I know if she says something isn't worth the money, then it isn't. Julie also has a house bunny like I do so we have that in common too, but if you like beauty, fashion and honest chat, Julie's your gal. Roxie is lovely and she has a gorgeous baby girl Penelope who is absolutely lovely too, Roxie has a beauty and lifestyle blog, The Beautiful Bluebird, she writes many different posts including beauty and lifestyle and some mummy posts too, all of which I thoroughly enjoy, her Degusto box posts always interest me, I love to find out what she has in her box! She has introduced me to some new organic brands too which I hadn't heard of, I love to find new brands and Roxie has introduced me to a lot of new brands which is great. 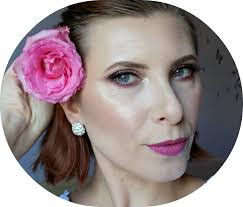 Roxie also like me loves lipstick and she has some great beauty posts and like all the other lovely ladies mentioned, her posts are always thorough and informative and a great read. So those are all the blogs I found during 2016 that have become amongst my favourite blogs to read, I do hope you can pop over to their blogs and show them some love, if you do, please tell them I sent you. I am sure you will love them and their blogs as much as I do and I hope I have found you some new favourite blogs of 2017 to read. Let me know in the comments what your favourite blogs of 2016 were? 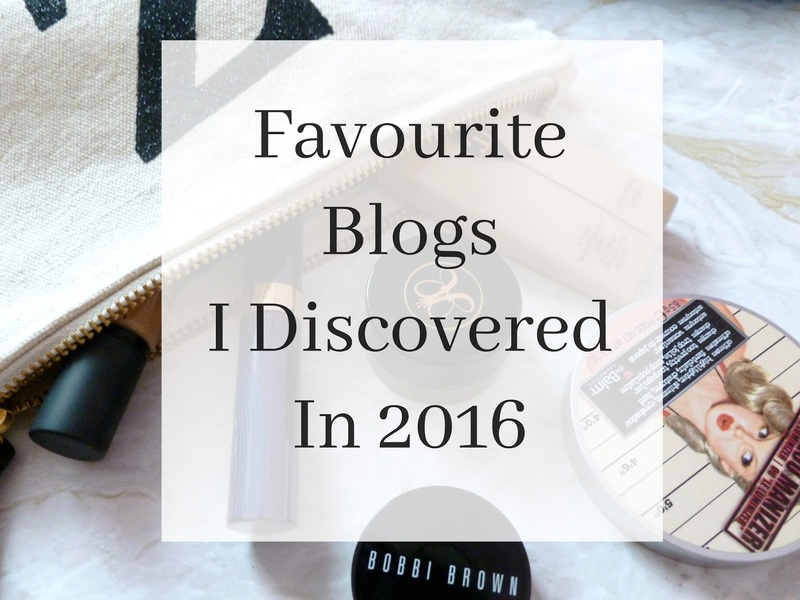 Or your favourite blogs in general, it doesn't have to be just the ones you found in 2016. *All the blog headers or images were taken from the blog mentioned.